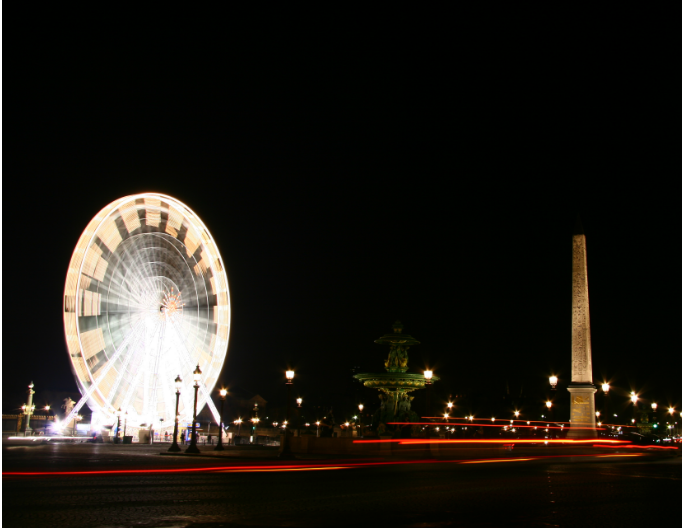 Called La Grande Roue by the Parisians, the big wheel takes its residency on Place de la Concorde every year for the Holidays. It is one of the best views you can get of the Christmas illuminations, with a height of 60 meters and a perfect location on the axis of the Champs Elysées and the Jardin des Tuileries. 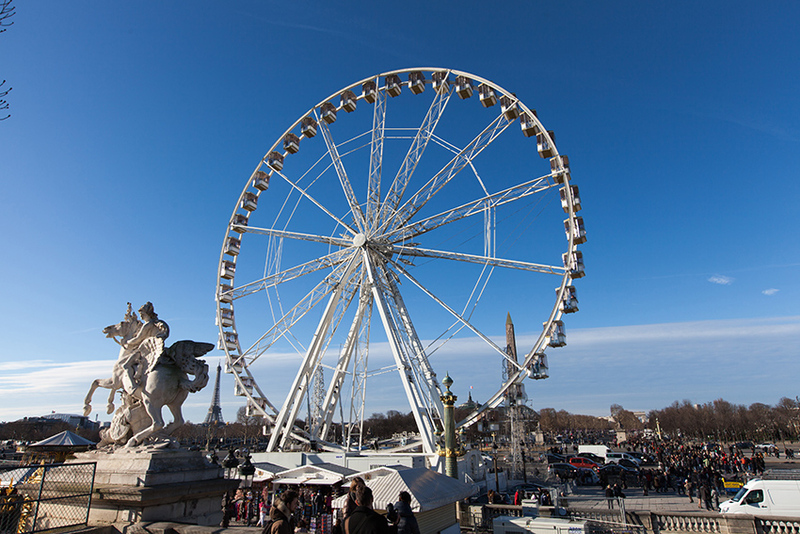 The first wheel was formerly installed here in 1993 by the omnipotent Marcel Campion, the king of fairground entertainers, who also organizes the huge Christmas market on the Champs Elysées. 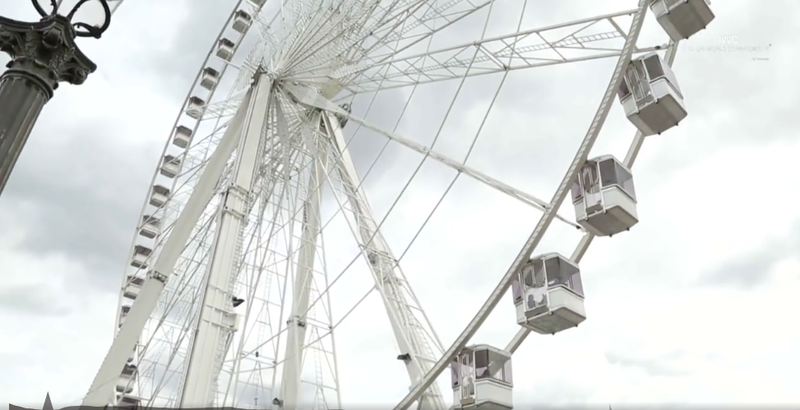 At first many Parisians, including the mayor of the 1st arrondissement where the wheel is set up, protested that the attraction was breaking the architectural design of the Place de la Concorde and Jardin des Tuileries. After some twists and turns and some incidents when, in 2002, Campion refused to leave the grounds and pack up his wheel, the parties have come to an agreement that the wheel would be erected every year. This year beginning mid-November through May 2018. 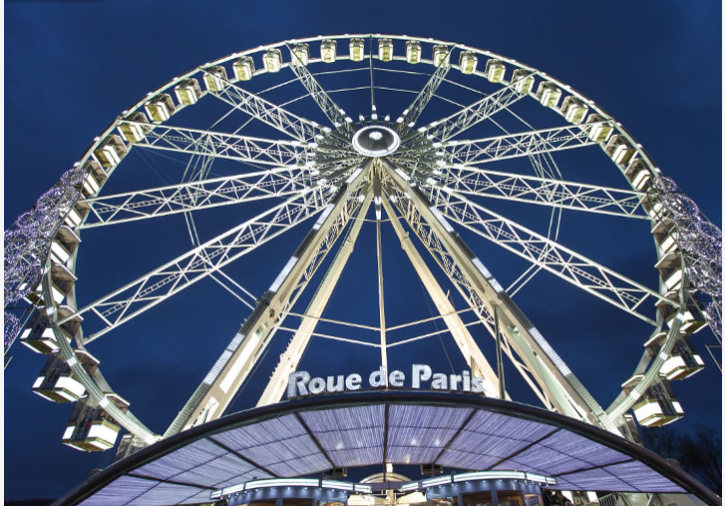 Going on the wheel is one of the best ways to view the city from above as you will get a 360° view from the center of Paris. Queues are longer at Christmas but it is usually not too crowded since opening hours range from 11am to midnight. While you will see more during daytime, going at night is a completely different experience with the city of lights unveiling before your eyes.